As you recall, our Global Spotlight Series is currently in the vibrant lands of Southeast Asia—specifically China and South Korea. Last week we introduced our fellow sojourners to the rich history of seafood in China and the baby clams Crown Prince harvests there. This week, we turn to South Korea and a favorite straight-out-of-the-can product: oysters (smoked and boiled). With water surrounding three sides, the land that is today known as South Korea has always given its people a strong connection to the sea. In fact, for as much seafood as South Korea exports, its people still eat more than they sell. 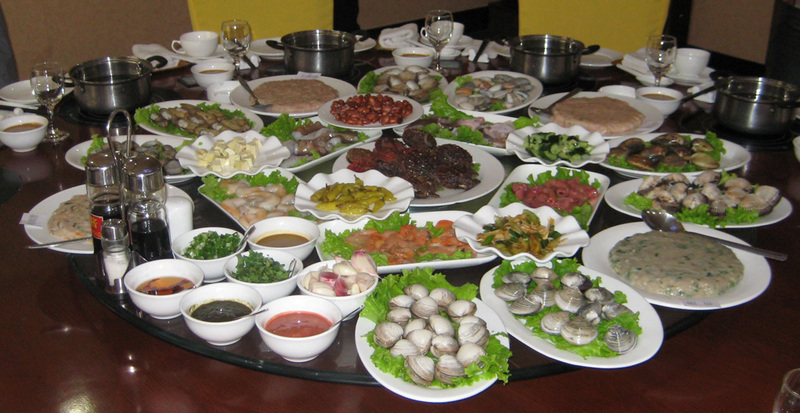 Seafood recipes are strongly held in local cultures. The export side of seafood for this relatively young nation (established in 1948) is just part of its global success story. Since earning independence from the north just 63 years ago, South Korea has gone on to become “one of Asia’s most affluent countries.” We’re glad that our relationship with South Korean fisheries is part of this recovery for its people. The oysters that we get from South Korea are harvested in carefully managed fisheries just near the seaside. From there, they’re immediately put on ice for transport to the packing facility. At that point, they are gently boiled or lightly smoked before being canned and making their way to our storage facilities, grocery store shelves, and your pantry! Happy I found your smoked oysters @ a local Stop & Shop supermarket. Will try to find the chile pepper version. Do you sell in Trader Joe’s markets?